anyone wanna P900. im part exin it for a 6610. i'll put money on top if they like. please contact me asap. thanks. It`s good.Really.Almost the best.If it would just not exist the SE P900 the N6600 would be the best. this is very very nice phone. but ringtone's sound not ok and processing is not first. picture quality is very nice. much batter than 3660. Where can i find the symbian program for my 6600 to play mp3 files?? can someone help mi? O2 Xphone rockz!! !yea.....play .wma format ringtone better than .wav play stereo mp3 without headset, support bluetooth, runing mobile windows! compore to 6600, 6600 suckz! too many limitation poor mp3 quality, limitation of MMC! !since the prince almost same....i choose O2 Xphone...long live O2 good job! Well.well..well... n6600 rox! i have one, i love this bcoz, i love its features, customizable/skinable UIs, business oriented phone, nevermind the bulky look the best is its functionality! BTW, just buy a 256Mb card,install symbian warez... Viola! you can play ur fav mp3s, movieclipz, jpegs, etc..... One thing ilove n6600? you know wot???? hehehe just donwload a symbian puTTY and it can serve as a remote machine for your Linux Server!!!!! you can TELNET!!! Has ti got any bugs?errors? 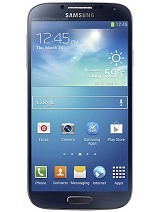 this phone is really cool i want one sooo bad !! Aucks~! it looks like my neighbour...how I wanna chew on it...so bulky, wonder if you can hit a baseball with it. Anyone out there who knows what's the latest SW version? Mine's still the factory version 3.42.1. Orite listen here.For your info n6600 is d best 1 EVER!! It can PLAY MP3!!!! All you got to do is to find a symbian program for it to run!TRUST ME this fone is far far FAR better than d SX1!! !NOW i'm listening no MP3 files.But first,you need to hav enough memory.So i advice you guys out there yo get a 256mb card.Its cheaper if you buy it @ those digital camera shop.NOKIA 6600............RULES!!!!!!!!!!!!!!!!!!! !